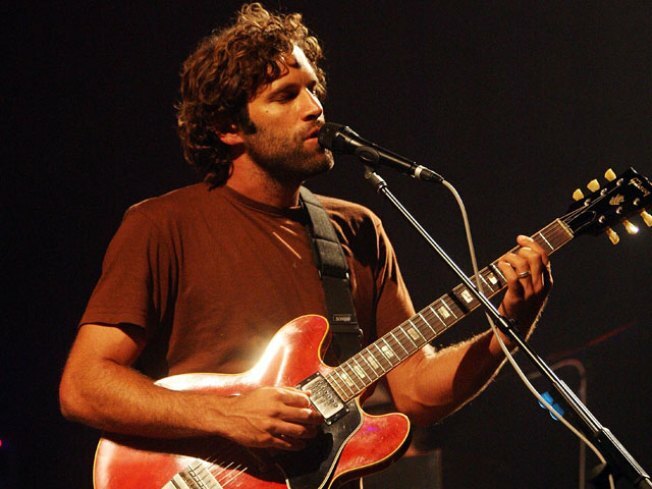 See Jack Johnson joined by G. Love and Special Sauce this Sunday night. Fiesta, Fiesta: Dance all the salsa, cumbia, samba, flamenco, bachata and merengue you want this Saturday and Sunday afternoon at Penn’s Landing. As part of PECO’s Multicultural Series, the yearly Hispanic Fiesta event celebrates Hispanic culture without having to leave the area. Jump from kiosk to kiosk, sampling food from different regions of Latin America and be sure to pick up authentic arts and crafts for your home. Great Plaza at Penn's Landing, Columbus Blvd at Chestnut Street, Philadelphia, Pa. 19106, Free, 2 p.m.
Craig Ferguson: Get up close and personal Saturday night with Craig Ferguson. As the host of CBS’s The Late, Late Show, Ferguson charms audiences daily with his observational and, often blunt, humor. The Scottish born comedian can also be best remembered as the boss, Nigel Wick, on The Drew Carey Show. For just under $50, bring your friends and laugh all weekend long. Keswick Theatre, 291 Keswick Ave, Glenside, Pa. 19038, $49.50, 8 p.m.
Femi Kuti: Nigerian jazz and afro-beat musician Femi Kuti will be at the TLA this Saturday night. Kuti is the son of afro-beat pioneer, Fela Kuti. Using saxophones, trumpets, keyboards and his smooth vocals, Kuti will perform an one-of-a-kind show for Philly. He will be joined by opening acts, Rob Paine and The Positive Force. Theatre of Living Arts, 334 South St, Philadelphia, Pa. 19147, $25, 9 p.m.
World Cup Finals: This Sunday is the last day to catch all the World Cup action. Stop at the Black Sheep for the best food and drink specials in the city. Enjoy $3.50 Stella drafts and $3.50 Budweisers with your 25-cent wings. Root your favorite teams on all afternoon as the party doesn’t stop until 5 p.m. Black Sheep Pub and Restaurant, 247 South 17th Street, Philadelphia, Pa. 19103, +21, 1 p.m.
Jack Johnson: See singer-songwriter Jack Johnson with G. Love and Special Sauce this Sunday night. A Hawaii native, Johnson uses the guitar, ukulele, piano and drums to form his unique soulful surf-rock sound. Find out what the secret ingredient is in local group, G. Love and Special Sauce. They plan to bring a mixture of hip-hop, blues and R&B to the night. Susquehanna Bank Center, 1 Harbour Boulevard, Camden, Nj. 08103, $35-$55, 7 p.m.